I'm often asked why I've put so much effort into exposing and resolving the MorganStanleyGate scandal. A comprehensive answer frankly requires an entire book, such as Cannibals In White Shoes. Notwithstanding, this blog post addresses ONE COMPELLING REASON, pertaining to The Worst Bank Foreclosure Fraud in U.S. History, which has TWO IMPORTANT ELEMENTS. And a touching moment from the movie "The Hobbit: An Unexpected Journey" (based on the fantasy novel The Hobbit, by J.R.R. Tolkien) aptly illustrates this below. Set-Up For Video Clip: During their ultimate quest to regain the kingdom home they were driven from, The Dwarves of Erebor engage in one battle after the other with a variety of evil forces, who are especially grotesque villains (sort of like those who have assisted bankers in foreclosure fraud, such as corrupt judges, amoral attorneys and crooked cops). 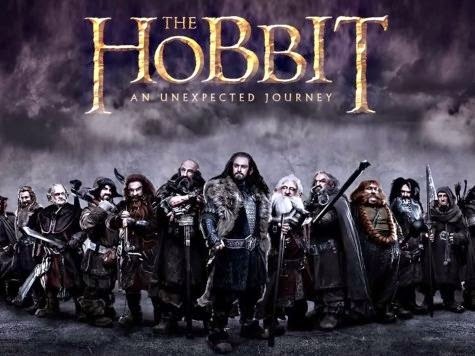 In the 2 minute clip below, they have just won such a battle and are taking stock of those who have been part of their journey, but one person (Bilbo Baggins of Bag End) appears to be missing . . . So how is this 2 minute cinematic video clip relevant? My home was taken from me through audacious foreclosure fraud (foreclosing on a mortgage that had been paid in full), and I plan to get it back with the assistance of others in a position to help (the 1st element) and then launch a movement to help victimized others do similarly (the 2nd element). I am in the process of summoning those with the metaphorical magical powers of Gandolf the Wizard to regain my home and stolen net worth, so that I may play an instrumental role (a modern day Bilbo Baggins, if you will) in helping many others (metaphorically The Dwarves of Erebor) do the same. Foreclosure fraud continues to be perpetrated by wayward bankers (represented by Smaug the Dragon, sitting atop a pile of gold), who have become so blinded by greed they appear to have lost their humanity altogether by destroying lives, families and communities -- sort of like the destruction caused by a fire-breathing dragon. Do you realize the number of foreclosed upon homes that sit vacant at any one point in time could readily house ALL the homeless? And the fact that so many homes were foreclosed upon via outlandish fraud is beyond the pale . . .
AND MUST BE CORRECTED !